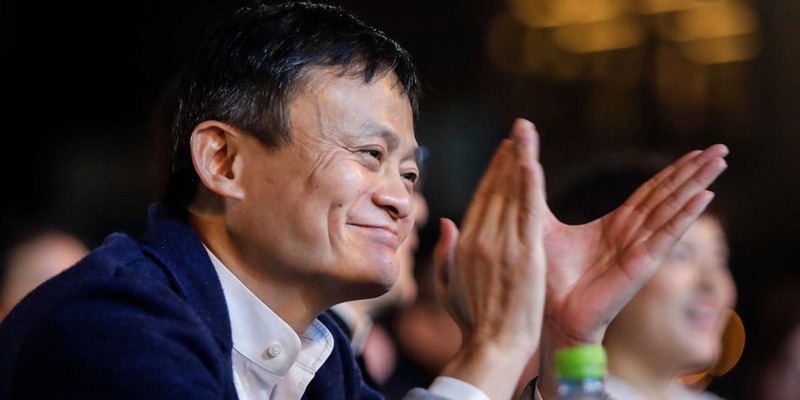 Before they were Big Time – Alibaba’s Jack Ma– A Series… | Business Forward! Founder and Executive Chairman of the Alibaba Group, Jack Ma currently ranks as the richest individual in China. As one can imagine, it wasn’t always this way. The path to wealth and entrepreneurial success in China is much different than that of those in the West, although certain character traits are ubiquitous of successful business people. It could be said that Ma has duplicated Jeff Bezos’ Amazon abroad. Not only the online retail aspect, but Alipay, the payment processing service behind Alibaba, similar to that of eBay’s PayPal. As you might expect, Jack was not his given name, but a nickname granted him by an American tourist when he was young. He was born Ma Yun in Hangzhou in 1964. In many ways, he is the rags-to-riches story. He grew up poor in communist China, was rejected from dozens of jobs, including one at KFC, failed with his first two entrepreneurial ventures before finding success with his third internet company, Alibaba. After President Nixon visited Hangzhou in 1972, Ma’s hometown became a tourist mecca. As a teenager, Ma started waking up early to visit the city’s main hotel, offering visitors tours of the city in exchange for English lessons. Can anyone say “persistence” here? Not only did he apply to Harvard and get rejected 10 times, but it also took him 3 attempts to pass his university entrance exams. He applied for numerous jobs before being hired as an English teacher. Ma was said to be a natural with his students and loved his job, though he only made $12 a month at a local university. Not a pure programmer in the mold of Gates or Musk, he was an entrepreneur who saw the potential of the internet on his first trip to the U.S. in 1995. Interesting that this was about the same time Bezos was gearing up Amazon. Ma essentially had the Amazon model and applied it to the Chinese marketplace. He rounded up money from his friends and others who lived in his apartment. Resilience again paid off for Ma, as Alibaba was his third attempt at cracking the internet market. Soon, the service started to attract members from all over the world. By October 1999, the company had raised $5 million from Goldman Sachs and $20 million from SoftBank, a Japanese telecom company that also invests in technology companies. As is true with all good start-up companies, Ma and Alibaba had an exit strategy. The company’s 2014 Initial Public Offering in New York set a record as the world’s biggest public stock offering, raising $25 billion. Ma has since stepped aside from the day-to-day operations of Alibaba, and has been active in reinvesting his capital. Ma’s investments beyond Alibaba include stakes in Chinese entertainment industry firms Huayi Brothers and Beijing Enlight Media. Philanthropically, Ma has taken a keen interest in the environment. He sits on the global board of The Nature Conservancy and has been instrumental in funding a 27,000-acre nature reserve in China. It will be interesting to see how the dubious relationship between comrade Ma and Chairman Xi plays out. Was Ma lucky enough to find a 40-year window in Chinese capitalism before it closes?